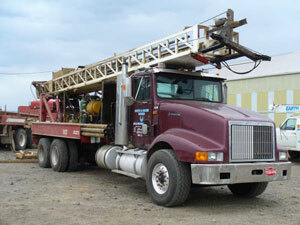 Earth & Water Works is a professional water well drilling and pump service company. Servicing all of Eastern Oregon and Western Idaho. Earth & Water Works sells Hydraulic Arms capable of loading and unloading drill steel, casing and more with enough precision to connect pieces of drill steel accuarately to the head in a very short amount of time.